New : Select a free second style or size on the next screen ! 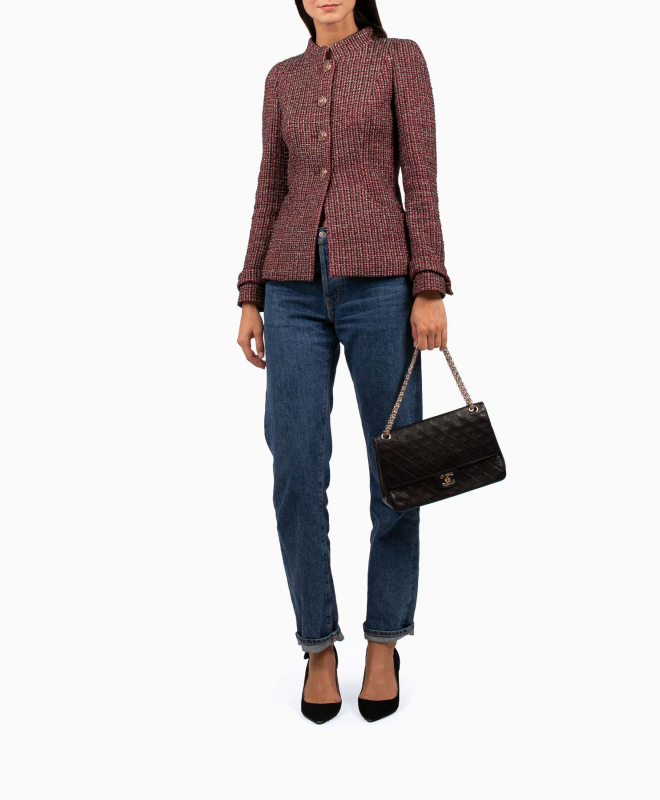 CHANEL Bordeaux Tweed jacket. 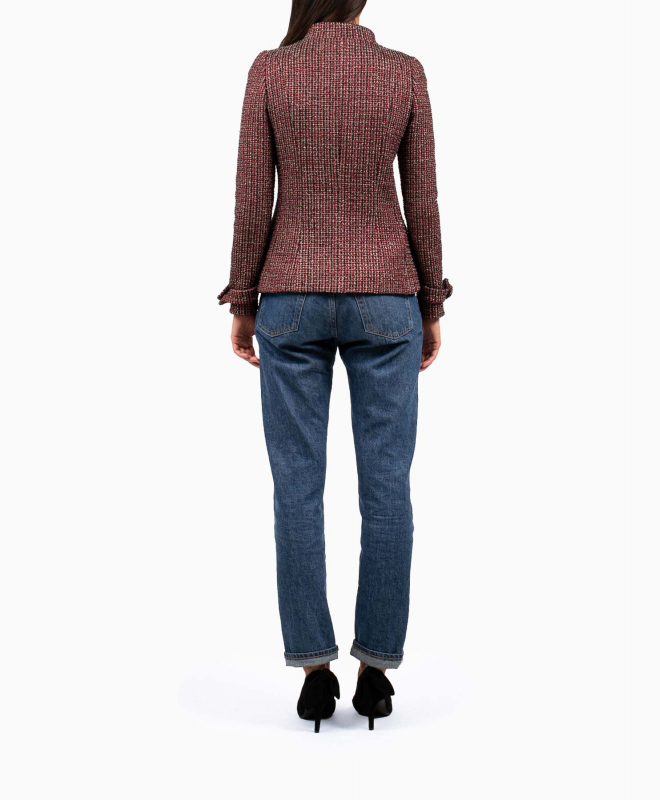 This tweed piece, with the officer collar, comes from the Paris-Bombay collection. As chic and timeless as is the brand, it is to rent and will accompany any outfits for all type of occasions. The model is 178 cm tall and is wearing a size FR36. Try a second dress for free ! Because we all have the right to try on at home, we offer you the possibility to choose a second dress for free..